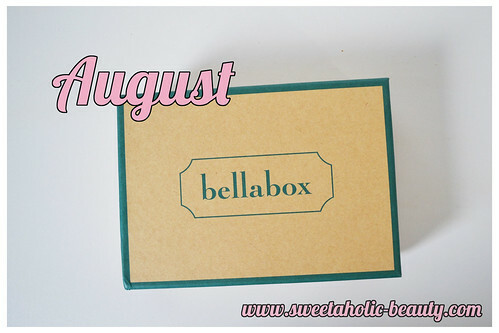 I was unlucky enough this month to catch a few spoilers about the August Bellabox, so I wasn't overly surprised when I received my box in the post a few days ago. This particular variety of products has been described by a few people on social media as "boring" or "lacking thought" but I always reserve judgement until I go through everything myself! 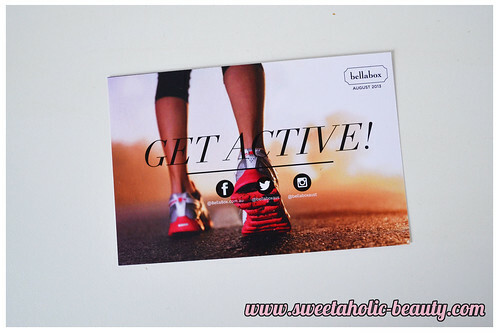 The general theme of this month's box was "Get Active." I was actually pretty pleased to get this. I recently dyed my hair with the John Frieda Precision Foam Colour again, and these conditioners are definitely a treat for my hair! I was thrilled when I discovered that only recently, John Frieda decided to release this conditioner as a full sized product that you can buy! I will most certainly be buying it, at least until all my smaller bottles run out! 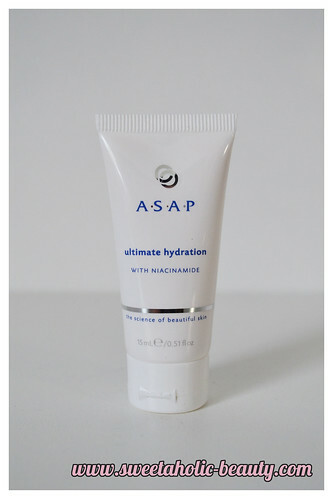 I'm really looking forward to trying this one, as my skin has really been needing the extra hydration this winter! I've been using the Gatineau Aqua Memory Serum (which you can read my review on here) but I want to experiment with some new products! This will most likely be given away, or thrown away even, as medium is going to be too dark for me. Most "light" options for BB/CC creams are too dark, so I'm pretty sure this one will be. 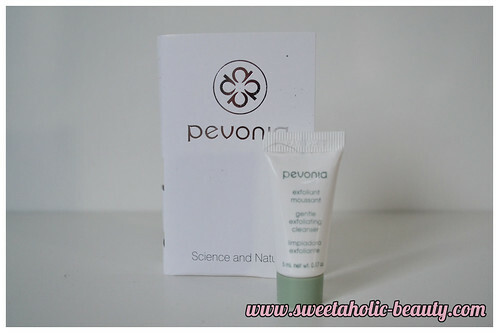 Although lucky to the girls who did get their colour - as I've heard good things about this CC Cream! I actually have a few of these samples and use them every now and then. 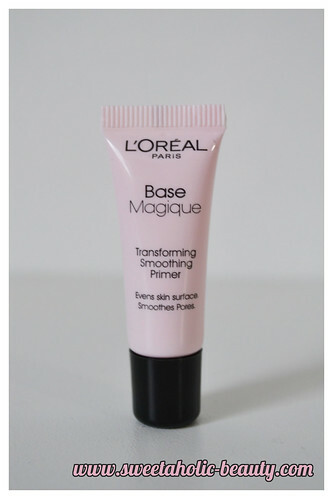 I like this primer, but it is a little bit on the expensive side - so I don't mind continuously receiving these in subscription boxes at all! I've neer heard of this brand before, but it sounds really nice. 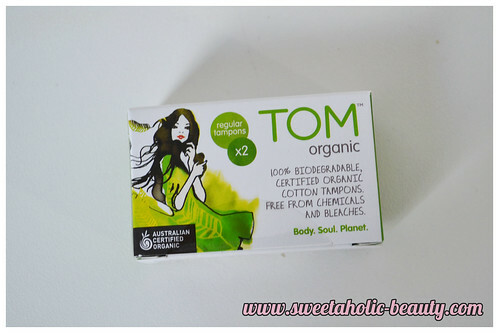 It contains jojoba beads and chamomile, along with a few other things. This is a bit expensive also at $67 for 150ml, but I guess I'll see if it's worth it after I test this one out! 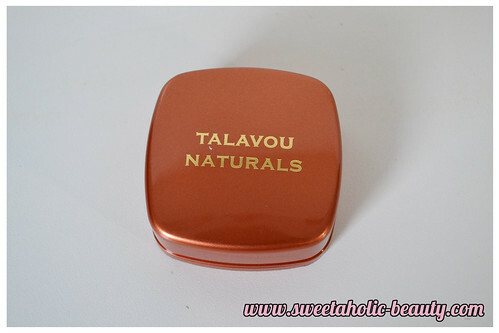 I've never heard of this brand, but I won't say no to makeup! I'm not a huge fan of bronzer myself, being that I'm so pale, but I've been slowly trying to work it into my beauty routine as I know I'll be using it more in summer time. These were a bonus product this month, but I definitely won't be using them! If you follow my blog regularly then you'll probably have heard me mention it a few times, but I don't have any need for feminine products! (Which is a plus for me really, because it means more money for makeup and less money for feminine hygiene products!) I'll probably give these to my mum or my sister. Overall, I wouldn't say I'm disappointed in the box, but nor am I excited. There were a few goodies I'd like to try, but a few of the things went straight over my head! I noticed the other variation of box is pretty exciting, though! Either way, the products in this box will definitely get used - so all in all it's not a bad box! 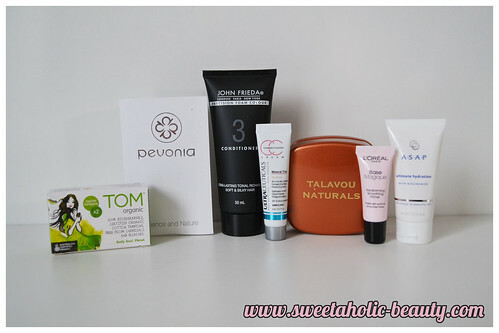 I was fairly happy with my box I received sunscreen and luminiser instead of the hair and bronzer products. Not too bad products, wish they would actually give a shade that matches though! I'm glad I got the box I did after seeing yours! Although the conditioner and bronzer are both things I wouldn't have been upset to get they don't excite me.. At least with the sunscreen I got it'll come in handy! Along with the BB cream. 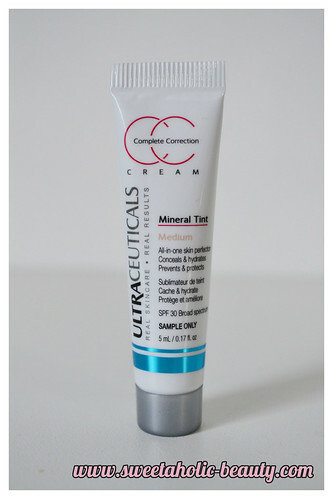 Oh shame about the Ultraceuticals CC Cream, I'd have liked to read your review! I have the opposite problem & was so annoyed when BB creams first came out and they were all too light for me! I had to giggle that theyd included tampons! The John Freida conditioners are really good, a shame they're not easier to find! Hehe! They are really good.. they've just released that conditioner in full size so you'll probably start finding them a bit easier soon!